Offers: Open Fairways discount card. 2fore1 voucher. Numerous club specific discounts and packages (see website for detail). Clubhouse with all facilities. Professional shop. Golf practice area. The Clubhouse, designated a Grade II listed building parts of which date back to 1720, was officially opened in 1908, since which time it has frequently been added to and improved. 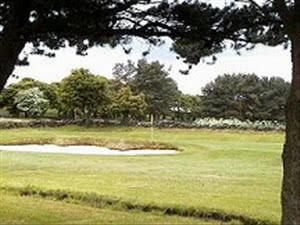 With a par of 69 and a standard scratch of 68, West Bradford golf course provides a good test over 18 holes for golfers of all abilities. The terrain is undulating although not physically too demanding but the golfer has to contend with the "out of bounds" on the perimeter of the course, the trees now lining many of the fairways and the prevailing westerly breezes. Because of the altitude of the course the greens rarely reach peak condition before late May or early June but then maintain their condition until late in the season. All in all a visit to West Bradford should provide the visitor with a testing but pleasurable day out, the proof of which is borne out by the numbers who return year after year.